Several times each month, Larry Jordan presents a live, on-line, video training webinar presenting issues related to video editing and post-production. For a list of upcoming webinars, click here. Speed changes are surprisingly flexible, easy to create and can add depth and interest to your next project. This session will show you everything you need to know. This is an intermediate-level session. 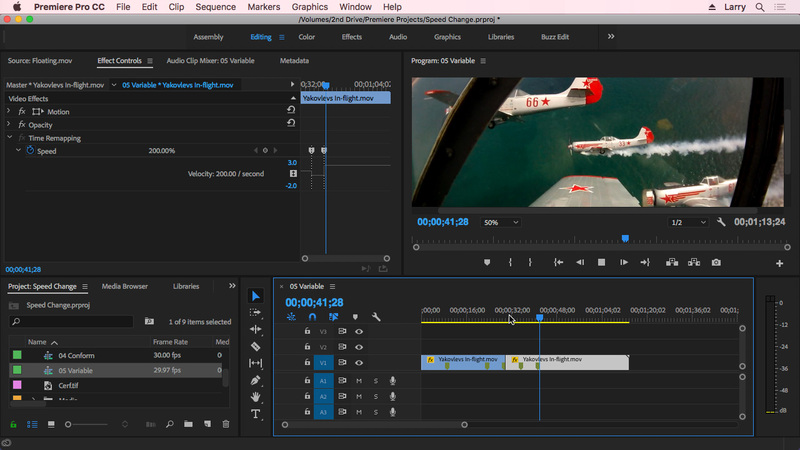 Some knowledge of either Premiere or Final Cut will be helpful, but not required. This video training is delivered as a QuickTime movie. To help you quickly find the information you need, we included chapter markers in the QuickTime download to simplify navigation. Click here to learn how to display them in your download.